The KDOG News Team is advised by Karen Albert at Robert L. McCaffrey Middle School. Students arrive at school thirty minutes early each day to setup and run the daily newscast. 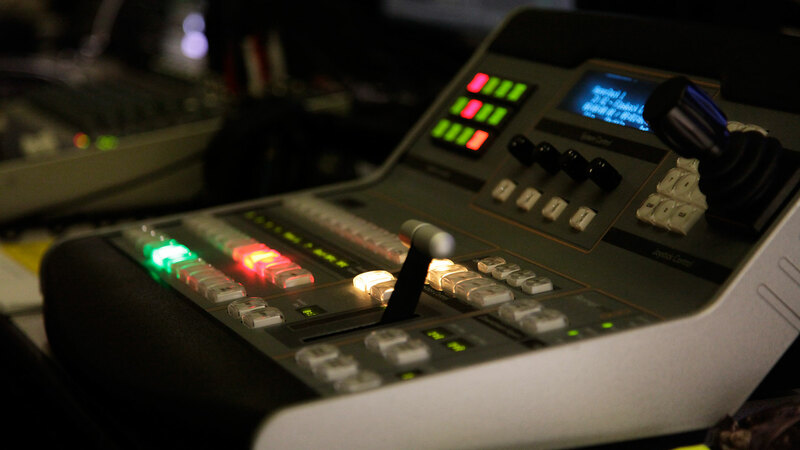 The students teach each other, and Ms. Albert, about the various technologies that they are using in the classroom – including a teleprompter, Tricaster and several different cameras. The program is student run with students leading and directing each other in the various roles. 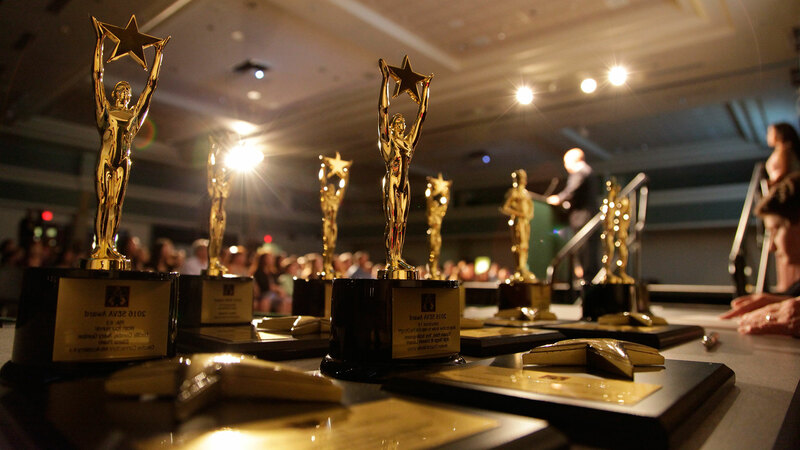 The SEVA Studio at Robert L. McCaffrey is constantly growing and changing. 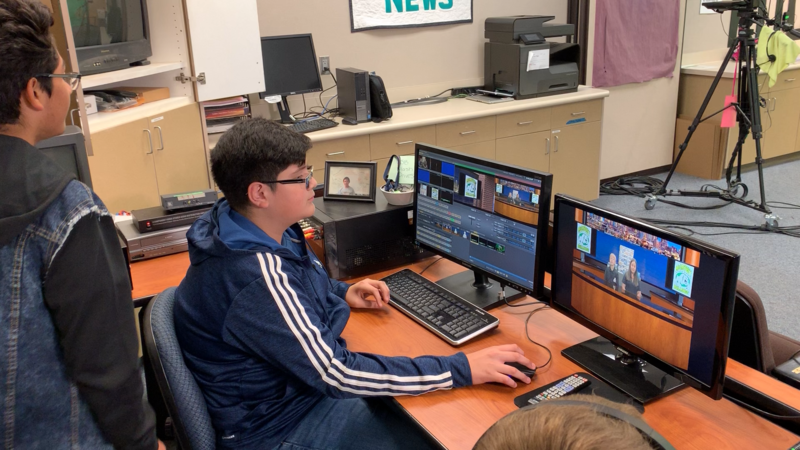 While KDOG News is shown across campus using various methods, it is Ms. Albert’s hope they can find a way to broadcast their video live and one day do remote broadcasts. Everyday, Ms. Albert allows her students to creative control over their news program, so students have been able to customize their program to something that is entirely unique to them. These dynamic students and teacher are no doubt headed for great things in the future. Ms. Albert has helped students learn all things video production for ten of her 19 years in teaching. During these ten years Ms. Albert has gotten to experience the magic of seeing students’ creativity shine. She challenges her students to try something new and helps them see that they are capable of things they might not have known were possible otherwise. 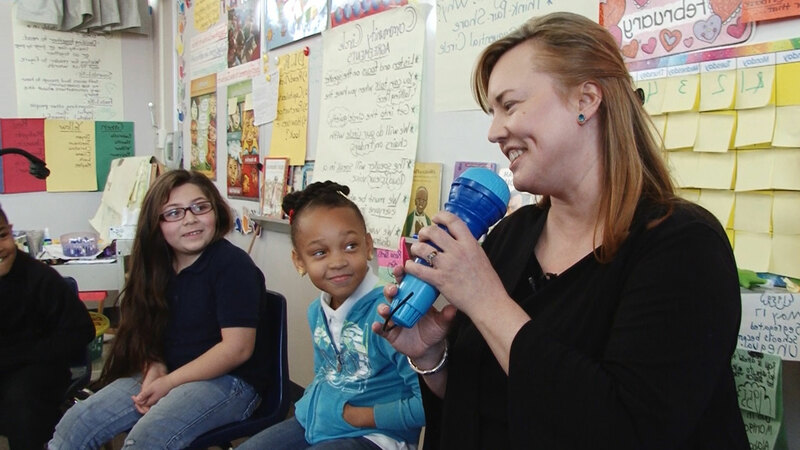 Ms. Albert has found that her students often teach her just as much as she is teaching them. While she encourages her students to look to their peers for help before they come to her, she also isn’t afraid to ask for help from her students in front of the class. The sense of pride that comes from this collaboration is unmistakable. Ms. Albert understands that the more responsibility she gives her students the more they develop skills that can be used beyond the four walls of the classroom. Ms. Albert has been one of the biggest supporters of creating a group for our teachers. She is always looking to build a stronger network and has been instrumental in creating a community for media teachers.